The gated community of Ocean Walk lies just across the way from the Atlantic Ocean. It is the location of 185 ranch style single family homes. Each boasts 2000 to 2700 square feet of living space. Many offer desirable amenities such as multi-car garages, private pools, and upgraded finishing’s throughout. The neighborhood provides a beautiful environment of lush tropical landscaping, immaculate gardens and patios allowing residents to enjoy gentle ocean breezes throughout the year. Life is a beach when you stroll past any one of the gates onto A1A, Beach Road or US 1, to convene with the runners and beachgoers that are enjoying the sweet smell of the ocean mist and stunning views of the Atlantic Ocean. 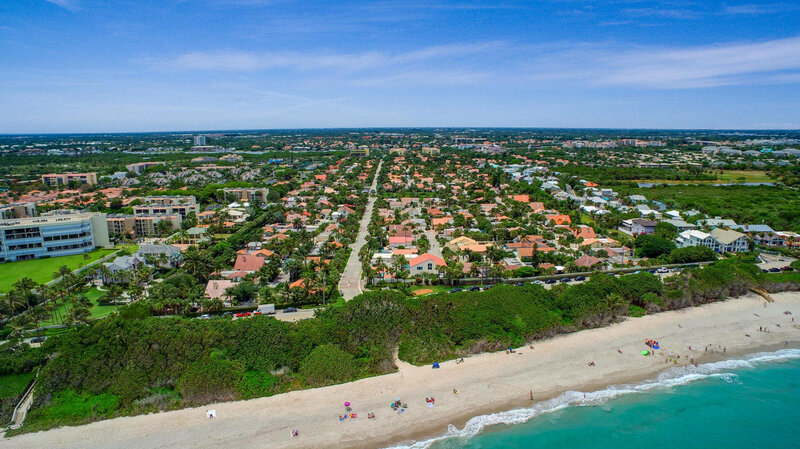 Head west from Ocean Walk deeper into the bustling town of Jupiter and places of interests like Harbourside, the Maltz Theatre and countless golf courses, restaurants and shopping plazas.